The Legal Citator is an online service that gives you a clear advantage when conducting research on the precedential value of reported judgments. 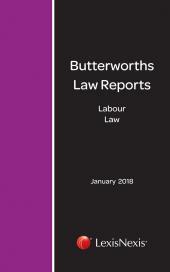 Currently, the Legal Citator encompasses judgments reported in the following law report series and between the following dates: South African Law Reports from 1947 to current volume All South African Law Reports from 1996 to current volume Butterworths Constitutional Law Reports from 1994 to current volume Butterworths Labour Law Reports from July 1994 to current volume Butterworths Competition law reports from 1999 to current volume. Whenever a parallel citation exists to a chosen judgment ("parallel citation" meaning that the same chosen judgment has been published in another law report series) then the following law report series will be reflected: Judgments Online; Industrial Law Journal; South African Criminal Law Reports; South African Labour Law Reports and the court assigned neutral citation. 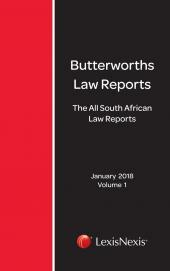 All cases cited by a South African Court and published in the series of law reports listed above are processed by the Legal Citator system; this includes those cases cited which were published prior to 1947 as well as any judgment of a foreign court used as an authority. The Legal Citator is updated as soon as the published volumes of law reports become available. 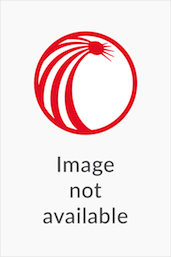 The Legal Citator is available as part of our LexisLibrary Select Packages. Customised content available to suit your budget and needs. Existing LexisLibrary Select Package subscribers can also upgrade to include the Legal Citator with their subscription. Whenever a parallel citation exists to a chosen judgment ("parallel citation" meaning that the same chosen judgment has been published in another law report series) then the following law report series will be reflected: Judgments Online; Industrial Law Journal; South African Criminal Law Reports; South African Labour Law Reports. All cases cited by a South African Court and published in the series of law reports listed above are processed by the Legal Citator system; this includes those cases cited which were published prior to 1947 as well as any judgment of a foreign court used as an authority. The Legal Citator is updated as soon as the published volumes of law reports become available.